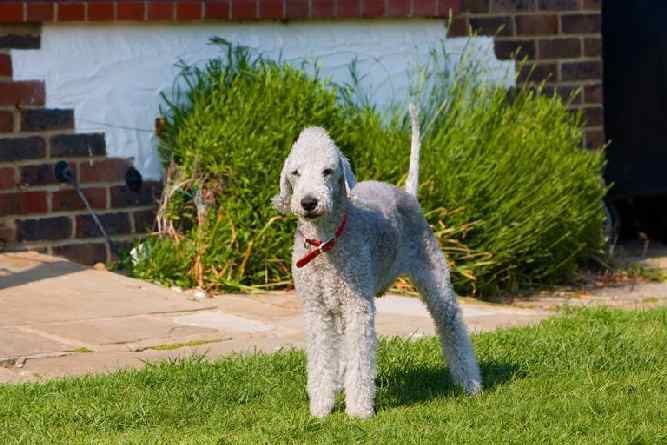 Bedlington Terrier Temperament: What Should You Expect? He may look like a lamb, but the Bedlington Terrier temperament can make him more of a lion if another dog challenges him. Sure, he can be docile too, but he prefers to run around and have fun first! He’d rather save his calm for the evenings when he’s relaxing with his family. He’s a less rowdy dog than other terriers, and he tends to be calmer indoors. He often surprises people by how athletic he can be. This is especially true once he’s outside. Inside, he’s calm, but once he gets that cool fresh air in his nostrils, he’s ready to go exploring! He has a plucky bark, which is comparable to a machine gun with regard to how fast he can rattle it off. He has a history of being a racing dog, so he can keep up an impressive speed both on land and in the water. Because he’s so playful, he can be a bit high-strung at times. The Bedlington loves his family, and he’s even good with other dogs. However, some Bedlingtons can be scrappy, depending on the individual dog’s personality. The American Kennel Club (AKC) considers the Bedlington to be a gentle breed that is perfect for families with children. However, the New Zealand Kennel Club warns that you should not put a Bedlington with a dog that has a dominant personality. If you don’t have any other dogs in your home, then this is not an issue for you. However, if you do have another dog, you may want to introduce them on neutral ground, like in a store parking lot. This way, you will be able to monitor their interaction to see whether they get along before you bring the Bedlington home. The Bedlington’s intelligence particularly shines through when he’s trying to hunt vermin. He is always one step ahead of his prey. Interestingly, he will only chase prey while he’s outside. If he lives in a house with a smaller animal, like a cat or hamster, he will not give chase while inside. This speaks to his intelligence. He knows how much trouble he’ll be in if he breaks something or roughs up Mommy and Daddy’s furniture! For a dog that looks so much like a gentle lamb, it’s no surprise that he has such a mild manner about him. However, because Bedlingtons are Terriers, they give chase when an animal runs away from them. This includes smaller dogs, cats, or even smaller animals, like squirrels or hamsters. And, because they are racing dogs, when they give chase, they are fast. For this reason, you never want to take a Bedlington off leash while on a walk. And make sure you have a secure fence around your property so he can’t just take off after a squirrel and end up in the road. The Bedlington Terrier originated in Northumberland, an area in Northeast England. Poachers originally used them as vermin hunters. Their owners valued them as racing dogs until the Whippet gained more popularity as a racing dog. In fact, experts believe the Bedlington is related to the Whippet, as they have a similarly shaped back. Unfortunately, while intelligent dogs can be impressive, this is one of the least desirable traits when trying to train a dog. That’s because, like many other intelligent breeds, the Bedlington can be stubbornly defiant. This trait can cause some difficulty in your attempts to train him. However, he is eager to please his trainer, which helps the process along. This means that while he may not listen at first, if you are consistent and hold his interest, he’ll eventually come around. Do not use harsh training methods, like yelling or spanking, to train the Bedlington. This will only backfire, and he will become disobedient. Praise him when he does well, and offer treats as a reward, but not too often to prevent obesity. For help training your smart but stubborn Bedlington give The Online Dog Trainer a try. Bedlington Terrier dogs barely shed at all, which makes them incredibly easy to groom. Instead of cleaning up after their hair, you just need to clip their coats every two months or so. If you don’t want to do it yourself with electric clippers and scissors, then you need to take him to a professional groomer to get it done. You do still have to brush or comb him, though – about once or twice a week. Bedlington Terrier colors run the gamut, from blue to sandy and liver, with combinations of each mixed with tan. Interestingly, they are born a darker color, and their coats lighten during their first year of life. The average Bedlington terrier size is between 15 and 17 inches for a female, and 16 and 18 inches for a male. The Bedlington Terrier’s life expectancy is between 12 and 14 years. Note: Don't let the many issues above scare you. The best way to approach health problems is to prevent them in the first place. The Ultimate Guide to Dog Health is a great place to start. Get a copy to keep at home. It will help you prevent the painful health issues that can plague your lovely Bedlington Terrier from expressing his winning personality and maximizing his life expectancy. Bedlington Terriers are like normal Terriers in that they have a relatively high energy level. You must regularly exercise him to ensure he stays happy and healthy. What’s great about the Bedlington is that even though he has a high energy level, he doesn’t use it for mischief. He enjoys playing fetch or going for a run during the day, then curling up to sleep next to his family at night. After reading all there is to know about the Bedlington Terrier, you’d like to make one a part of your family. But how do you go about doing that? You can find Bedlington Terrier puppies for sale either from a breeder or through a rescue or adoption agency. The price of a Bedlington Terrier sale varies, depending on who you choose to buy from. The average Bedlington Terrier price is around $1,000. 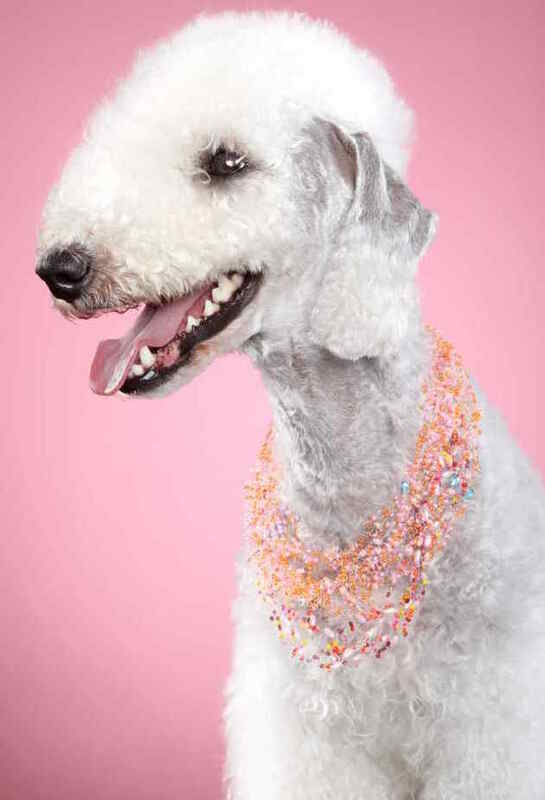 Depending on the dog’s bloodline, the highest Bedlington Terrier cost may be up to $3,000. If these prices are too steep for your wallet, you can always adopt or rescue a dog as an alternative. If you want to adopt a Bedlington Terrier puppy, check your local rescue organizations or adoption centers. A Bedlington Terrier for sale will always cost more than one that you can adopt or rescue. 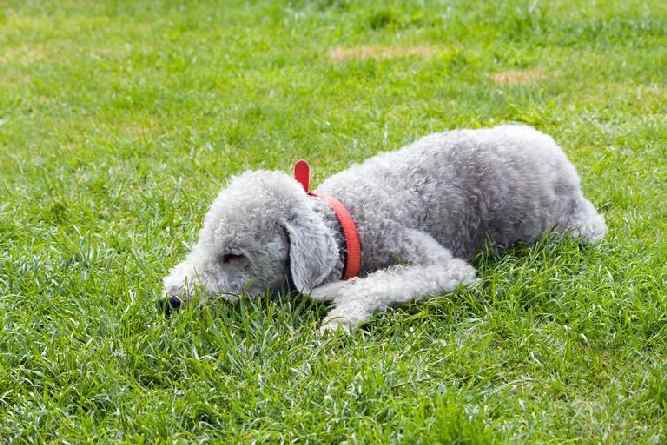 A Bedlington Terrier rescue is ideal if you want to skip the puppy stage altogether. This is because most dogs available for rescue or adoption tend to be older. Adoption or rescue are also fantastic alternatives if you’re most interested in a Bedlington Terrier mix. Dogs purchased from breeders are almost always purebreds, while mixes are typically available more often as adoptions. If you’re interested in purchasing a Bedlington from a breeder, a good resource to consult is Bedlington Terrier Club of America. 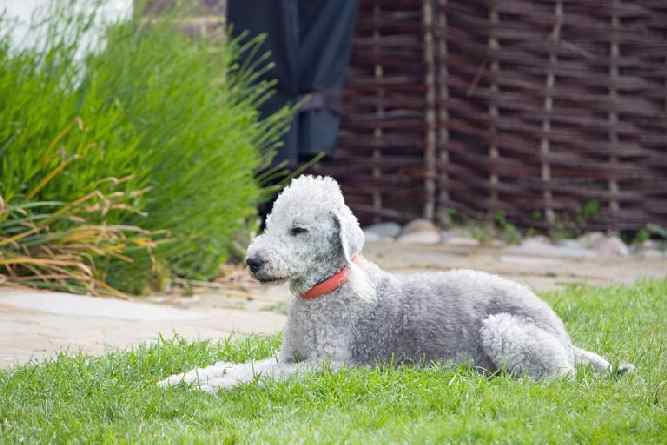 Here, you can learn more about how to purchase a Bedlington, as well as research potential breeders you’d like to buy from. Conclusion: Why the Bedlington Terrier? The Bedlington Terrier temperament may surprise you. He looks like a lamb, but he plays and darts around like any other feisty Terrier. He can be stubborn at times, but he loves his owner and ultimately aims to please. Grooming him is a breeze because he doesn’t shed! You still need to brush or comb him regularly, though, and you must also occasionally clip him to keep him looking neat and clean. He’s a pretty healthy dog, with a long lifespan and a few health concerns. A Bedlington can be pricey, so if you’re interested in buying one, consider a rescue or adoption as a more affordable alternative.